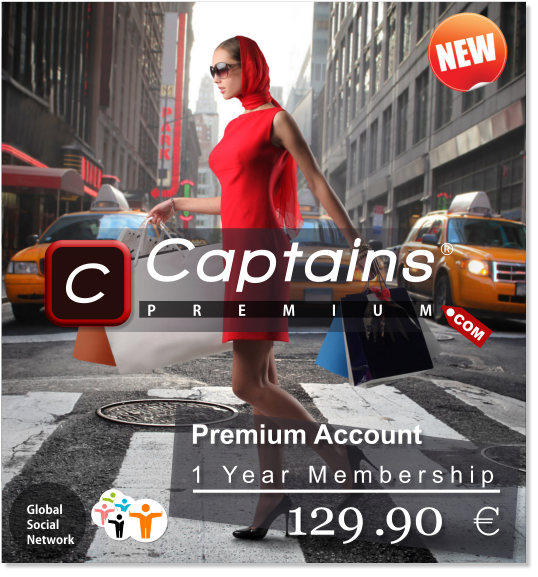 Social network for «Global Business People», based on technology «Сonflict-free thinking™». Global social network for employees art, theater and cinema, TV and radio broadcasting, show business, based on technology «Сonflict-free thinking™». Global social network for collectors of the World, based on technology «Сonflict-free thinking™». for lovers of cars, based on technology «Сonflict-free thinking™». for lovers of motorcycles, based on technology «Сonflict-free thinking™». for lovers of extreme sports, based on technology «Сonflict-free thinking™». for fans of club music, based on technology «Сonflict-free thinking™». for fans of rock music, based on technology «Сonflict-free thinking™». for fans of rap music, based on technology «Сonflict-free thinking™». Social network for fans of sports club «Spartak», based on technology «Сonflict-free thinking™». Social network for fans of sports club «Zenit», based on technology «Сonflict-free thinking™». Social network for fans of sports club «CSKA», based on technology «Сonflict-free thinking™». Social network for fans of sports club «Dynamo», based on technology «Сonflict-free thinking™». Social network for fans of sports club «Rubin», based on technology «Сonflict-free thinking™». Social network for fans of sports club «Lokomotiv», based on technology «Сonflict-free thinking™». Social network for fans of sports club «Krasnodar», based on technology «Сonflict-free thinking™». for the American Community, based on technology «Сonflict-free thinking™». for the African-American Community, based on technology «Сonflict-free thinking™». for the Armenian Community, based on technology «Сonflict-free thinking™». for the Azerbaijani Community, based on technology «Сonflict-free thinking™». for the Canadian Community, based on technology «Сonflict-free thinking™». for the Bashkir Community, based on technology «Сonflict-free thinking™». for the Basque Community, based on technology «Сonflict-free thinking™». for the Belarusian Community, based on technology «Сonflict-free thinking™». for the Brazilian Community, based on technology «Сonflict-free thinking™». for the Catalan Community, based on technology «Сonflict-free thinking™». for the English Community, based on technology «Сonflict-free thinking™». for the Estonian Community, based on technology «Сonflict-free thinking™». for the Filipino Community, based on technology «Сonflict-free thinking™». for the Finnish Community, based on technology «Сonflict-free thinking™». for the French Community, based on technology «Сonflict-free thinking™». for the Galician Community, based on technology «Сonflict-free thinking™». for the Georgian Community, based on technology «Сonflict-free thinking™». for the German Community, based on technology «Сonflict-free thinking™». for the Greek Community, based on technology «Сonflict-free thinking™». for the Han Chinese Community, based on technology «Сonflict-free thinking™». for the Indian Community, based on technology «Сonflict-free thinking™». for the Indonesian Community, based on technology «Сonflict-free thinking™». for the Irish Community, based on technology «Сonflict-free thinking™». for the Italian Community, based on technology «Сonflict-free thinking™». for the Japanese Community, based on technology «Сonflict-free thinking™». for the Jewish Community, based on technology «Сonflict-free thinking™». for the Kazakh Community, based on technology «Сonflict-free thinking™». for the Korean Community, based on technology «Сonflict-free thinking™». for the Latvian Community, based on technology «Сonflict-free thinking™». for the Lithuanian Community, based on technology «Сonflict-free thinking™». for the Mexican Community, based on technology «Сonflict-free thinking™». for the Multicultural Community, based on technology «Сonflict-free thinking™». for the Nigerian Community, based on technology «Сonflict-free thinking™». for the Pakistani Community, based on technology «Сonflict-free thinking™». for the Polish Community, based on technology «Сonflict-free thinking™». for Portuguese Community, based on technology «Сonflict-free thinking™». for the Romanian Community, based on technology «Сonflict-free thinking™». for the Russian Community, based on technology «Сonflict-free thinking™». for the Scottish Community, based on technology «Сonflict-free thinking™». for the Spanish Community, based on technology «Сonflict-free thinking™». for the Swedish Community, based on technology «Сonflict-free thinking™». for the Tajik Community, based on technology «Сonflict-free thinking™». for the Tatar Community, based on technology «Сonflict-free thinking™». for the Turkish Community, based on technology «Сonflict-free thinking™». for the Ukrainian Community, based on technology «Сonflict-free thinking™». for the Uzbek Community, based on technology «Сonflict-free thinking™». for the Vietnamese Community, based on technology «Сonflict-free thinking™». Conflict-free thinking is thinking aimed at preventing conflicts in relationships between people. Each social product based on the Technology «Conflict-free thinking™» for the ethnic group or groups with certain premium hobby includes social network, a dating service and free classifieds.